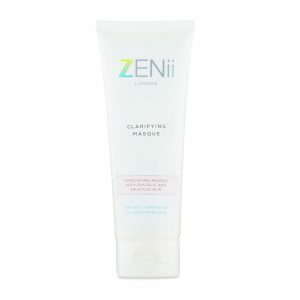 ZENii Salicylic Exfoliator is a clinically proven 2% salicylic acid lotion that helps to control oil and helps to shed unhealthy skin cell build up. It can be used to unclog pores in congested skin, treat excess oil in acne and brighten dull or lacklustre skin. 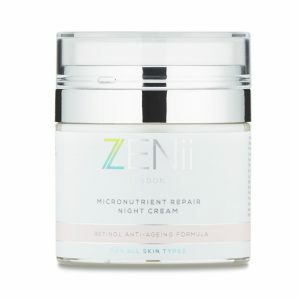 A ‘must have’ product for anyone with problem skin, acne, blackheads or blemishes. Skin Type: Acne, congestion, blackheads, dull skin, anti-ageing, poor skin texture, men. Salicylic acid is a keratolytic which means that it helps shed unhealthy build up of dead skin cells. It has multiple functions and can work as a skin exfoliator, an anti-bacterial, an anti-inflammatory and a skin hydrator. It is related to aspirin and derived from willow bark. It is a MUST have product for all acne/blemish/problem skin sufferers who will be benefit from twice use daily. Salicylic acid has been used in dermatology for many years to treat inflammatory skin conditions such as acne, blackheads and generalised congestion. It can make the skin dry initially but with continued use this will settle. 2% is an ideal strength for effective daily use – AM & PM. *Salicylic acid products should not be used in pregnancy. Instead use glycolic acid products at lower e.g.. ZENii Cell Sense Exfoliating Polish or ZENii Clarifying Masque. *Do not use salicylic acid products if you are allergic to aspirin. After cleansing the skin, saturate a gauze pad and spread an even amount onto the face. Keep on the skin for 1-5 minutes and then rinse off with cool water. It is normal for this product to tingle on the skin for a couple of minutes with initial use. This will reduce with continued use. Caution: May make your skin dry with initial use. With continued use the skin will adjust and this dryness will settle down. Not suitable for use in pregnancy. Not suitable for anyone with an allergy to aspirin. Ingredients: Purified water, Salicylic acid, alcohol denat.